Lunch tried to be breakfast with ‘brunch’. Dinner is often an assortment of breakfast foods eaten again. Breakfast is the best. Period. Breakfast clutches its butter knife in its fist and launches itself at the bacteria waiting to gnaw at your unassuming intestines. Breakfast slathers itself in jam and rolls all the way with its various partners during long, tedious commutes. And it stays warm. Oh my. Beyonce I love you, but honey, get your facts right. But of course, as is the case with all heroes, heroines, mythical or real, Breakfast too has its own harmatia. Whether it be Achilles with his heel, Superman with his Kryptonite, Hercules with his uncontrollable strength or Zeus with his lust, everyone has that fatal flaw. Breakfast… your one fatal flaw is… that… you can be a little… well…predictable. BOOM. There I said it, admit it breakfast ADMIT it! Stop hiding behind the few interesting dishes people eat, be the god-like entity you are and TAKE YOUR CRITICISM! Phew. Intense right? But it is true… breakfast is so delicious. We look forward to it, we crave it, and yet, we know exactly what we are getting – no surprise, no change, just routine. Which is why, from NOW on, everyday when I eat breakfast, I am going to do something different. It could be something as small as trying a new type of fruit in my cereal, or it could be trying a completely new breakfast item. I don’t know about you but I want myself to get excited in the morning because I don’t know what my fave meal will bring me! Just a suggestion, just an idea, but if you want to break out of wheat bread toast, and start breaking your fast like the boss that you all are, this bread is the way to go. Honestly, I don’t even need to butter it, or jam it, or even toast/grill it for it for it to taste good. Imagine soft crumby dough, with delicate sugary-cinnamon flavour pockets swirling around in it, with the occasional surprise *pop* of a golden raisin. So much better than the routine breakfasts non? 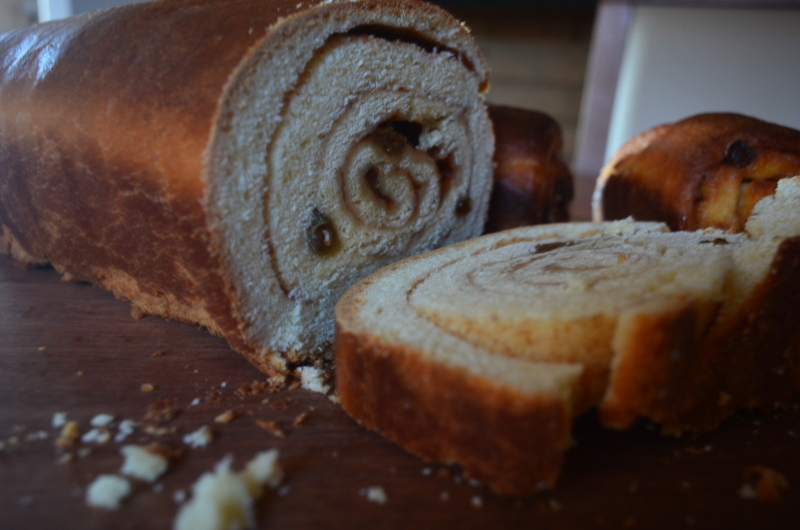 Enjoy this Cinnamon Swirl Raisin Bread mes cheris! HI. I came across your blog today and I will have to try this. Breakfast rules! 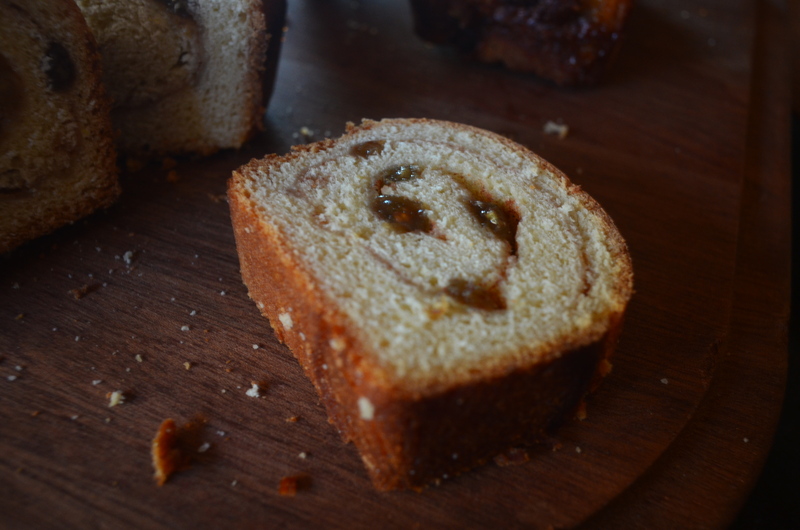 Especially if this cinnamon swirl raisin bread is involved! That swirl is gorgeous! I would be very happy to break my fast with that cinnamon bread! 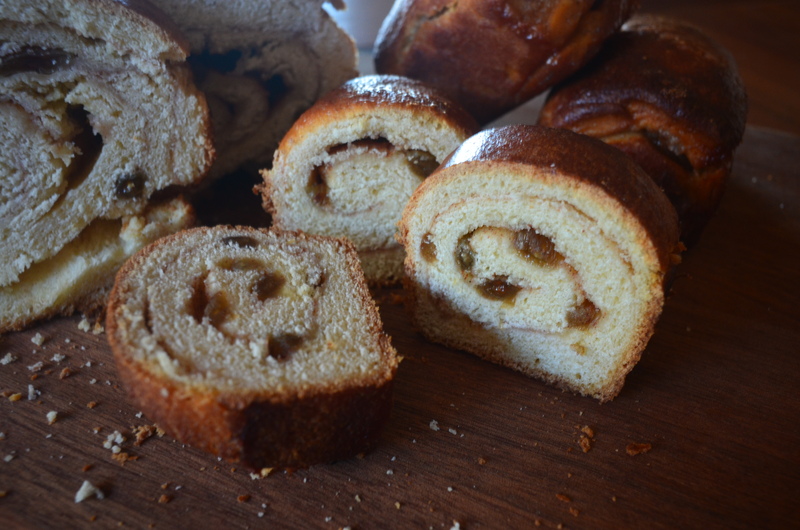 ok I wouldn’t mind this pretty cinnamon swirl bread tomorrow for breakfast! oh, i’m a HUGE fan of breakfast and all its offerings. your swirls are perfect! Lmao! Uru, I loved this post so much. “Who run tha world? Breakfast” <– TRUTH! I loooooooove breakfast too (I could eat it any time of day, all day). 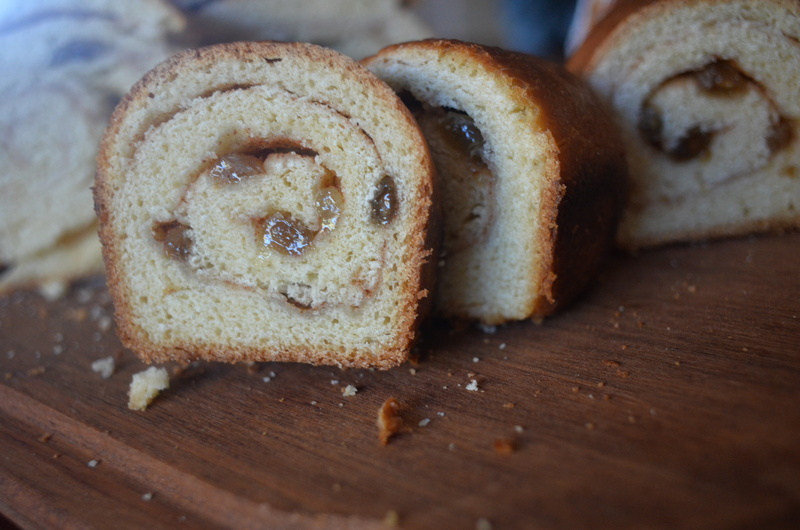 Your cinnamon swirl raisin bread looks ridiculously good. As in, cram it into my mouth as fast as possible good. These cinnamon rolls look so good – definitely not your average breakfast. I am totally with you about BREAKFAST! 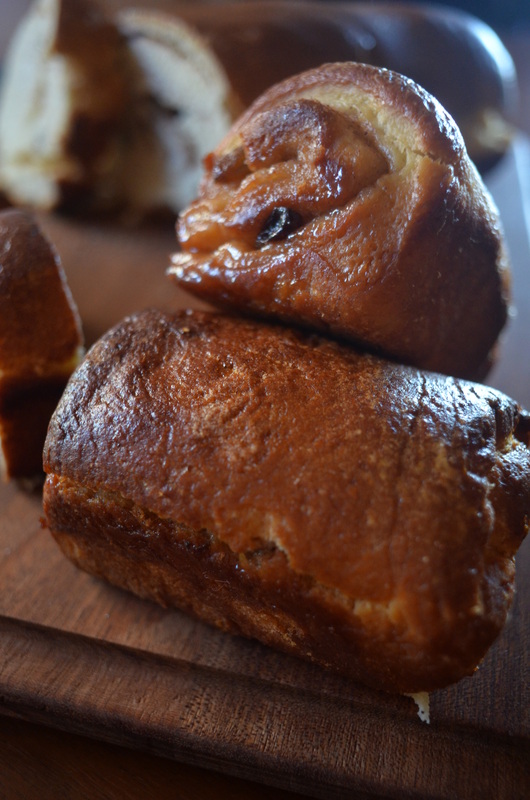 These cinnamon loaves are perfect for every meal and snack! Uru, this recipe is a breakfast champion!! good luck for next semester at uni! Beautifully illustrated and explained, Uru. Now that’s the way to start the day! Ohhh, yes! This is anything but predictable! 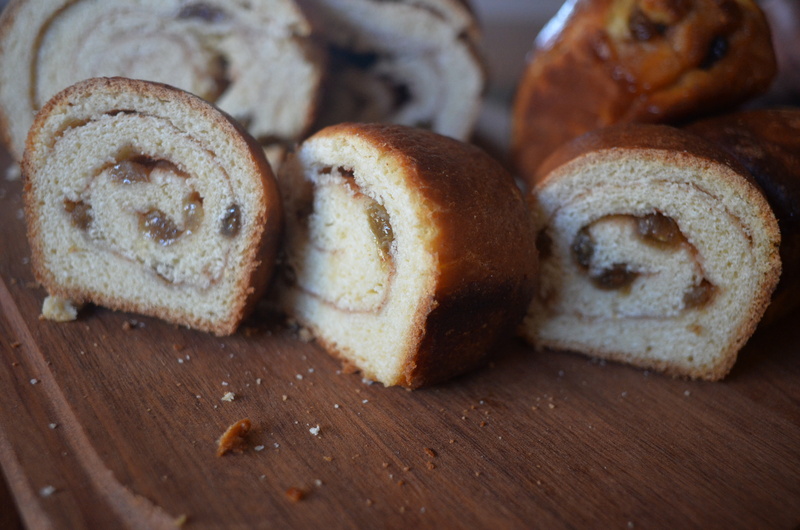 This cinnamon raisin loaf looks like it would be a great start to my day! I’m not a morning person at all. I used to be, but my illness and meds means I don’t usually see mornings. Would definitely trying getting up for this raisin bread though. I think I’d sub with sultanas since they’re sweeter and more juicer than raisins. How are you going my friend? I agree about breakfast but sad to say, never been into it; either I’m rushing or I’m too lazy to eat in the morning. The bread is simply divine and you sure did a fabulous job. I cannot leave the house without breakfast, I’m just a nightmare on an empty stomach! 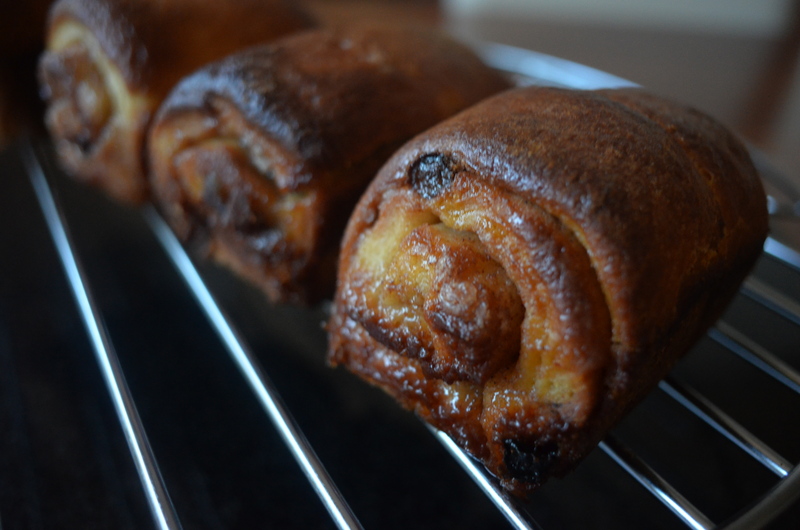 I love this cinnamon loaf, it would have me leaping out of bed every morning! Like a boss is right! I would OWN that entire roll. Your bread looks amazing, I’m going to have to purchase one of those mini loaf pans, they are so adorable. Great recipe! Yes, I admit it. I eat the same breakfast every morning! And yes, I agree it’s the most important meal of the day. Loving your cinnamon rolls and wish they were in my kitchen right now! I ADORE THIS BREAD!!! It could easily make breakfast my favorite meal!! And what is the use without generosity right? What perfect cinnamon loaves! I MUST have breakfast, too! I love big and sweet breakfasts, (big on calories:-) This one is for me! I agree breakfast is the most important meal! It definitely makes me happy when I am full in the morning! I love the. 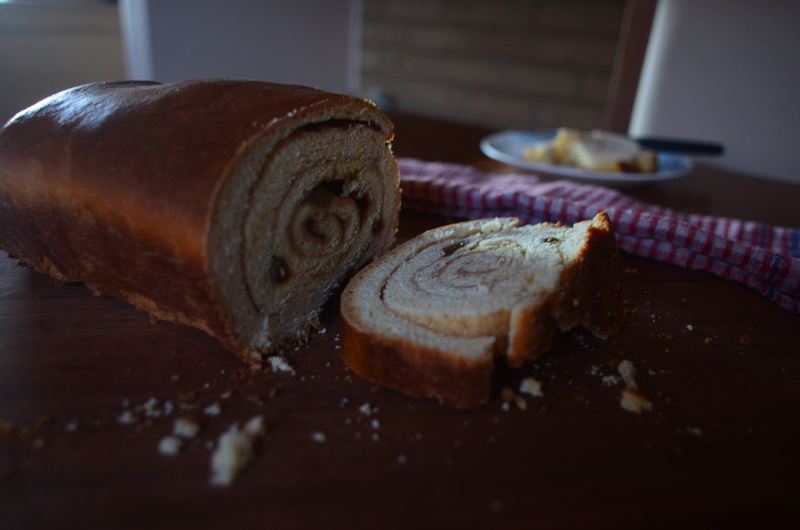 Cinnamon bread! Definitely wNna try! I don’t ever think that breakfast is boring. In fact, I love my breakfasts and would never skip them. 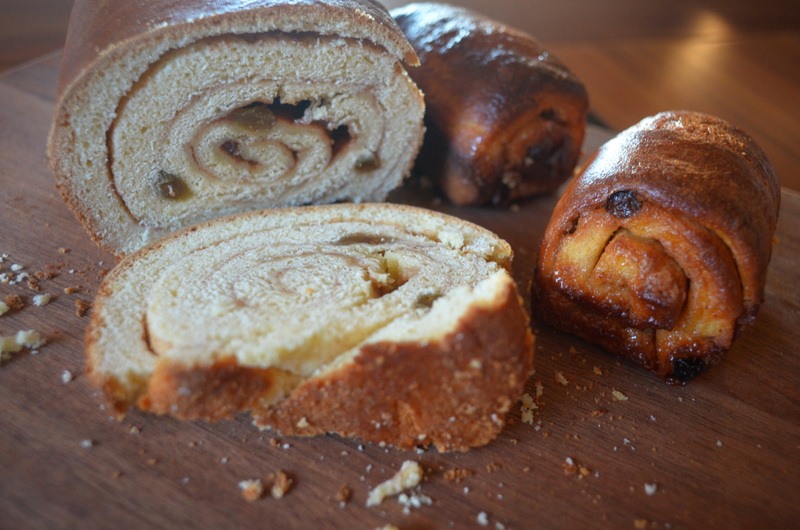 A cinnamon swirl raisin bread ranks very high on my favourite breakfast item. Perfect way to start a day! Definitely so much better than the usual breakfast! I would get out of bed early for this beauty! Love the mini loaf idea. Agree, breakfast is the most important meal of the day, my day is off to a bad start if I do not have a good breakfast. Breakfast indeed is the most important meal of the day and I wish I could eat a raisin bread like this one every single day! I’m always a big breakfast eater. Not a fan of a big breakfast, mind you — too much food too early in the day. But always eat something. Your cinnamon swirl raisin bread would be perfect for me. Thanks! Breakfast is the best!! But you’re right, it can get boring. This bread though – nothing boring about it! It looks amazing! Perfect texture, tons of flavor – I want a big piece right now! This bread looks AMAZING!!! And I love the idea of the mini-loaves. I have a pan exactly like it. And yes, breakfast is the best. I love even having breakfast for dinner. And this bread is something I could eat all day long!!! If there is one thing that I harp on, that would be a good breakfast. I have made everyone a breakfast eater, and while it was a tough journey with lots of tough love, it has been worth it. Now no one in the house can do without a good breakfast and this swirl looks a perfect beginning…like a boss! You are so right, breakfast is the most important meal of the day and I have not eaten it yet, my bad! I would like a slice (or 2 or 3) of that gorgeous loaf, love cinnamon raisin bread, slathered with butter, YUM, looks delicious. Ahaha no worries about pancakes for dinner, I make them myself – though a diner would be nice! Awh yeah… totes hear that! Breakfast is my absolute fave meal of the day, although during the week I don’t eat it, def make up for it on the weekends. I tried that mixing it up business, failed… No point filling up on fruit when you can eat bacon, soooo much bacon. 🙂 Love your bread, I shall add to the list of delights to bake. There is an old saying eat breakfast like a king, lunch like a prince and dinner like a pauper. I am pretty boring with my breakfast routines and would not mind giving this delicious bread starting tomorrow. Hot out of the oven. Breakfast does make a difference. Ask any teacher and she can tell you which kids haven’t eaten just by their behaviour. Your raisin bread would be a delightful way to start the day. Starting tomorrow morning! I rarely get up in time for breakfast but I have a preference for savoury items. That said, I’m not going turn down a slice of this bread if it’s not like most I’ve had in the past on the day AFTER it’s been baked … dry and tasteless.